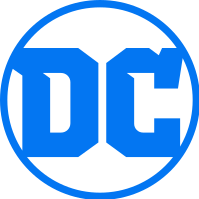 DC's logo as of DC Rebirth. note Click here to see their old logos. DC Comics is one of the Big Two comic book publishers active in the United States today, the other being Marvel Comics. The publishing unit of DC Entertainment, itself a wholly-owned subsidiary of Warner Bros., it's one of the largest and oldest comic book publishing companies in the world. Most of its material has relied steadfastly on "The World's Greatest Super Heroes" throughout its history, with such iconic names such as Superman, Batman, Wonder Woman, The Flash, Green Lantern, along with an enormous supporting cast of alliances, rogue's galleries, task forces, crime syndicates, and oddities holding its banner high. To tell the history of this storied company and its exploits would arguably take as much time to explain DC's extensive universe. As an alternative, this is our attempt. DC began as Detective Comics, Inc in 1937, to publish a crime-themed Anthology Comic, Detective Comics, which introduced Batman in issue 27. In 1938, the company launched a second title, Action Comics, starring Superman. Detective Comics merged with National Allied Publications and All-American Publications in 1944 to form National Comics; however, due to the appearance of their logo, the company was popularly known as DC Comics, and eventually formally adopted that as its name. Detective Comics' superheroes proved popular in the 1940s, but with the end of World War II, the genre entered a decline. National Comics managed to hold on during The Interregnum by diversifying into westerns, humour, romance, and scifi, as well as some crime and horror titles which were innocuous enough to escape being censored by The Comics Code. In the mid-1950s, DC revived their old superhero, The Flash, in order to appear in their anthology Showcase. Rather than bringing back the old character, the writers introduced a new hero with a new secret identity and a scifi-based origin. Following the success of this story, the Green Lantern was similarly reimagined, and National began increasing their superhero output. This practice was copied by several other publishers, most notably Marvel, who actually managed to exceed DC's sales and popularity in the 1960s due to stronger writing. In 1967, DC managed to get some of this popularity by bringing Steve Ditko over from Marvel, who introduced elements such as flawed heroes and personality clashes during team-up stories. Around the same time, the conglomerate Kinney National Company (who would become the parent of film studio Warner Bros. shortly after) purchased DC Comics, integrating it as a division of Warner Bros. in the process. In the 1970s, DC began to expand into more mature stories, attracting teenagers and young adults who previously considered comics to be exclusively a kids' medium. In the 1970s, after Marvel's Comics Code-defying anti-drug Spider-Man story, DC jumped on the bandwagon with a slew of 'relevant', social-issue-tackling superhero stories. Most famously, Green Lantern and Green Arrow took a trip across America, fighting such issues as drug use and broken homes. Furthermore, Jack Kirby, the other major co-creator of the Marvel Universe, signed up to create The Fourth World comics such as The New Gods and Mister Miracle. Unfortunately, these titles were ahead of their time and Kirby eventually returned to Marvel in the mid 1970s. However, by the late 1970s, the company was going through rough waters with Marvel finally beating them in sales and DC Comics floundering with titles that began big and then petered out within a few issues. Then the company got a new president, Jenette Kahn, who began to reorganize the company to fix that problem. For instance, she created health plans and instituted reprint fees. More importantly, in 1981, she instituted a royalty system for talents where the better their titles sold, the more they would be paid, giving them a stake in a series' continued success. Also, she and the senior editors took control of their titles' sustainability problem by creating the Limited Series, so they could at least get it under their control with predetermined endings for title. The moves paid off, the most obvious example being The New Teen Titans which became a major success under Marv Wolfman and George Perez, whose enhanced pay was enough incentive to keep the title going for years. Furthermore, they could show the origins of their original characters in a mini-series Tales of the Teen Titans without interrupting their main title. In addition, DC took a chance on some of the talent from Britain and gave some of the promising talents, such as Alan Moore, Grant Morrison, and Brian Bolland, a shot at their lesser titles. The result was an explosion of astounding creativity that signaled the comic book version of The British Invasion. Mainstream comics would never be the same. In the late 1980s, DC was responsible for catapulting comics to a new era of respectability and critical acclaim. Part of this was their epic, continuity-shaking Crisis on Infinite Earths, which showed that comics could tell stories as effectively as any novel or movie. The other was a pair of deconstructive works, Alan Moore's Watchmen and Frank Miller's Batman: The Dark Knight Returns, both of which brought a new level of intelligence and psychological complexity to the medium. They also kicked off the craze for Darker and Edgier, Hotter and Sexier comics, and started the so-called Dark Age. In the wake of this, all the other publishers started copying them, and even the main DC Universe became somewhat darker to accommodate the new tastes. DC's supernatural paradigm has changed considerably. In the 1990s, with the growing influence of the Swamp Thing and the beginning of the Kali Yuga storyline, DC left behind the Cosmic Good versus Cosmic Evil convention once common in superhero stories. Instead, according to current DC metaphysics, the cosmic battle involves Lawful Neutral (angels, Lords of Order) versus Chaotic Neutral (demons, Lords of Chaos), with both sides fairly indifferent to human perspectives about good or evil. (The only exception to this seems to be the DC version of God, who is Good rather than Lawful, and the Devil, who varies according to the writer.) This cosmic disinterest in good/evil issues has been a major motivation for The Phantom Stranger and Deadman in their choices to side with humans instead of The Omniscient Council of Vagueness of the week. Since then, DC has continued quite strongly, and in all likelihood will co-dominate the English-speaking comic industry for years to come. As of September 2011, DC rebooted their entire universe back to square one to make the stories and characters 'younger and more relevant' to the modern age. This took the form of "the New 52" comics revamped, including Superman, Batman, Wonder Woman, the Flash, Aquaman and the Justice League. In 2013, it was announced that DC would be relocating its main offices from New York to Los Angeles to better integrate its multimedia operations. See DC Comics Characters for an index of the characters in the larger DC Universe, and check DC Comics Series for an index of all the series published by DC, both in and outside of the larger continuity. Arc Number: Since 2006, "52" has been the arc number for the DC Universe, being the title of a weekly series, the number of Earths in their multiverse, the number of DCU titles in their 2011 reboot, et cetera. This may no longer apply as of Convergence and DC Rebirth. Continuity Reboot: DC has rebooted their universe completely twice, and used Crisis Crossover stories to "tweak" matters at least twice more. Not to mention they retconned the Second Reboot (The New 52) with a soft reboot (Rebirth), indicating that the New 52 was not a separate universe, but rather the Post Crisis Universe Altered by an outside actor. The "New" Batman/Superman etc. simply have altered histories but are the same people substantially. Crossover Finale: Because DC tended to launch new titles out of crossovers in the 1980s and 1990s, the yearly renewals tended to come up around the time of the next crossover. Thus throughout the 1990s, many DC Comics ended with a crossover story. And given the aforementioned tendency towards Continuity Reboot, sometimes the sole line gets something like a Crossover Finale. Department of Redundancy Department: DC stands for "Detective Comics". So the company's current name iteration in full is "Detective Comics Comics". Micro Monarchy: The tiny state of Markovia. Most Writers Are Male: The creative teams at the start of the 2011 reboot highlight this: Out of 52 creative teams, of two or three people each, there was exactly one woman: Gail Simone is writing The Fury Of Firestorm and Batgirl. Later, more women were added to the creative teams; such as Christy Marx writing Amethyst, Princess of Gemworld for the Sword and Sorcery comic. Post-Crisis: The Trope Maker, and still an idea that dominates discussions of DC Comics, especially with the New 52's wholesale reboot. Super Family Team: Various imprints either have family teams in them, or are of family teams. Training the Gift of Magic: While the metaphysics of the DC universe is often confused, it seems that some characters (such as Zatanna) are "Homo Magi", members of a subspecies of humanity with the ability to work magic quickly and easily, although they may still need some kind of training, while others (such as John Constantine) have to work through rituals and hard study. Two First Names: Various civilian identities of their superheroes have this, such as Bruce Wayne, Clark Kent, and Barry Allen, among others.